Arlo is set to launch the 4K Arlo Ultra in the coming weeks, so its older cameras are coming down in price. 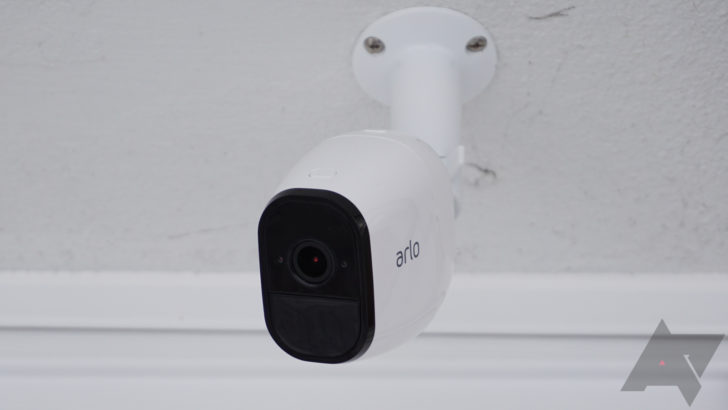 The Arlo Pro system has been dropping exceptionally fast as it's about to be two generations old. It's still plenty capable, though. You can get the two-camera system for a mere $229.99 right now. That's the cheapest we've ever seen it. The Arlo Pro cameras are 720p—the Pro 2 increased the resolution to 1080p. They're completely wireless, and the batteries last a few months on a charge. So, you can mount the cameras anyplace you want, so long as they're within range of the dedicated wireless hub. That needs to be wired into your router. 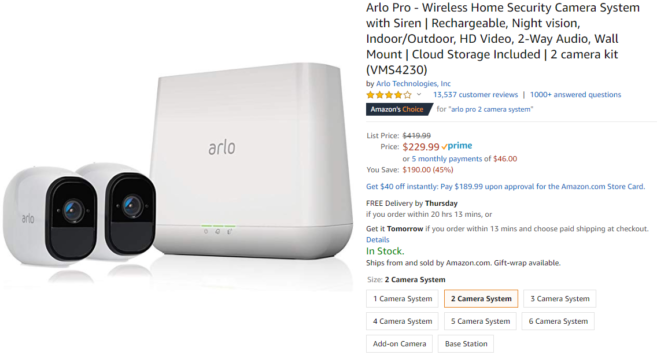 We've seen the Arlo Pro go on sale plenty of times, but $229.99 is the lowest it's ever been. In December, it got as low as $259.99. Unlike other security cameras, the Arlo Pro is usable without a monthly fee. You'll get a week of cloud video storage in the free account, but $10 per month gets you a month with support for up to 10 cameras. There's also a USB port on the hub that can back up all your videos locally.